"My culture is NOT your . . .. prom dress," wrote one Twitter user. It's that time of year in high school, the season of the highly anticipated, stress-inducing rite of passage called prom. Like many other teenagers preparing for prom, Utah senior Keziah Daum wanted to find a dress that would stand out, "something that would be more unique and bold and had some sort of meaning to it," she said in an interview with The Washington Post. Daum decided to browse a vintage store in downtown Salt Lake City, where she came across a red cheongsam, also known as a qipao - the high-collared, form-fitting traditional Chinese dress. "I thought it was absolutely beautiful," said Daum, who is not Chinese. She appreciated its high neckline, a difficult trait to find in many prom dresses. The dress, she said, "really gave me a sense of appreciation and admiration for other cultures and their beauty." On a Sunday after the dance, like many other social media-savvy high schoolers, she posted a photo in her dress alongside her friends. "PROM," she wrote. She had no idea it would elicit such a response. "My culture is NOT your . . .. prom dress," a man named Jeremy Lam tweeted days later, sharing the photos she posted. "I'm proud of my culture, including the extreme barriers marginalized people within that culture have had to overcome those obstacles," Lam also wrote. "For it to simply be subject to American consumerism and cater to a white audience, is parallel to colonial ideology." 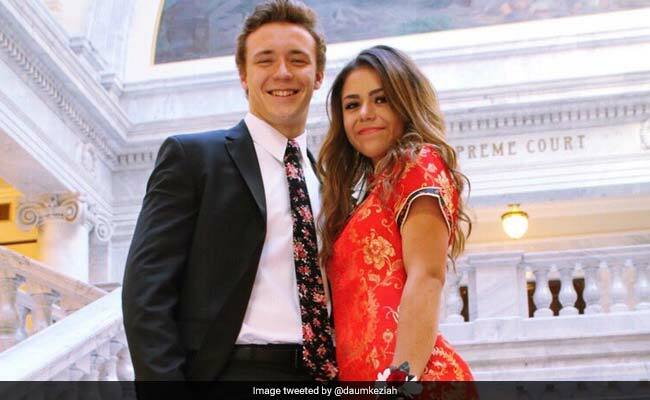 The tweet, which has been shared nearly 42,000 times, spurred an onslaught of similar criticism of Daum's prom dress, with many people on Twitter accusing her of cultural appropriation. "This isn't ok," wrote another Twitter user. "I wouldn't wear traditional Korean, Japanese or any other traditional dress and I'm Asian. I wouldn't wear traditional Irish or Swedish or Greek dress either. There's a lot of history behind these clothes." Another wrote: "you just don't wear it if ur not. chinese . . . it's not something to play dress up with." It was the latest example of the long-running debate over the fine line between appreciating and appropriating culture. Similar controversies over cultural appropriation have erupted in fashion and in Hollywood, across college campuses and in response to advertising campaigns. There was a tone-deaf Pepsi ad, and the time the Kardashian sisters were accused of appropriating black culture with shirts showing the image of the Notorious B.I.G. Greek chapters have stirred outrage through "Mexican" themed parties, and concertgoers have been accused of appropriating Native American culture at music festivals such as Coachella. Some of these instances are clear-cut, while others fall into a disputable gray area. Critics of Daum bashed her for one photo in particular in which she and her friends hold their hands together in prayer-like poses. Daum said that her friends were inspired to make the pose by a popular YouTube personality, h3h3Productions, and she had no idea it would be interpreted as culturally offensive. Daum responded to the barrage of criticism by saying she meant no harm in wearing the dress, and was "in no way being discriminative or racist." "I don't see the big deal of me wearing a gorgeous dress I found for my last prom," she tweeted. "If anything, I'm showing my appreciation to other cultures and I didn't intend to make anyone think that I'm trying to be racist. It's just a dress." The Twitter outrage also prompted a wave of support for Daum. Many, including scores of people identifying as Asian Americans, defended her choice of dress, saying they did not consider it offensive. "I am a collector of cheongsams, with Chinese heritage and I think it is ridiculous other people are judging you!" one woman wrote on Twitter. "As Chinese, we are very proud and delighted to share our cultural fashions with anyone around the world. I love how you wear the dress with confidence! You rock!" YING LI tweeted "I am a Chinese woman. I support you. You rocked that dress!! I have an 18 year old daughter who just had her prom. She said people might be just jealous that you look awesome in that dress." Favian Yee tweeted "Good on you for wearing that dress. You look beautiful in it, and don't let them tell you that you have to be Asian to appreciate the dress. There are just too many trolls out there. Happy Grad 2018!" Others condemned the attacks on the high school student who just barely turned 18. "So this dude found a random girl online and convinced 100k+ people to bully her over a prom dress," tweeted Ethan Klein, the man behind the popular YouTube channel h3h3Productions. Daum's Twitter followers skyrocketed from a few hundred to more than 14,000 within about a week. She began receiving thousands of direct messages, some of them cruel but many of them positive, telling her she had nothing to worry about. Her classmates and teachers at school have reached out to her, expressing concern and offering support. "We've had to pull her away from it because it has gotten overwhelming," her mother, Melissa Dawes, told The Post Monday night. "These are adults attacking basically a kid. . . . She wasn't looking for this at all." While the family lives in a predominantly white suburb of Salt Lake City, Dawes said she has made an effort to give her daughter a multicultural upbringing. When Daum was in the third grade, her mother pulled her out of her school and enrolled her in a more diverse school in Salt Lake City. "I wanted her to have that exposure," Dawes said. She also said that Daum has grown up with a multicultural extended family. Several of her nieces and nephews are of Pacific Island descent. The mother found it particularly unsettling that "an adult male has attacked her for what she's wearing," something that has nothing to do with "her talent or her mind." "I'm proud of her for standing her ground because she didn't do anything wrong," Dawes said. In the days since the photos went viral, Daum said she has made a point of researching the significance of the dress in Chinese history and culture. She also says she has learned about the velocity and reach of messages on social media, and the importance of being able to see her own posts from a different lens. "This does give me a better sense of choice and being careful in what I say in posts and how it can be perceived differently," she said. "It's taught me to be extra cautious because you don't want people to see it the wrong way." But at the same time, she said, "there are people who are going to find something to offend them no matter what it is." "I'd wear it again," she said of the dress.